It occurred to me at the beginning of the year that my skincare routine was incredibly lacking and my skin was showing it. I was using some billy basic cleansers which didn't have any good, skin-lovin' ingredients in them and because I didn't love what I was using, I didn't take the time cleansing my skin like I should. Cue, blocked pores, rough texture and huge blackheads - not cool. 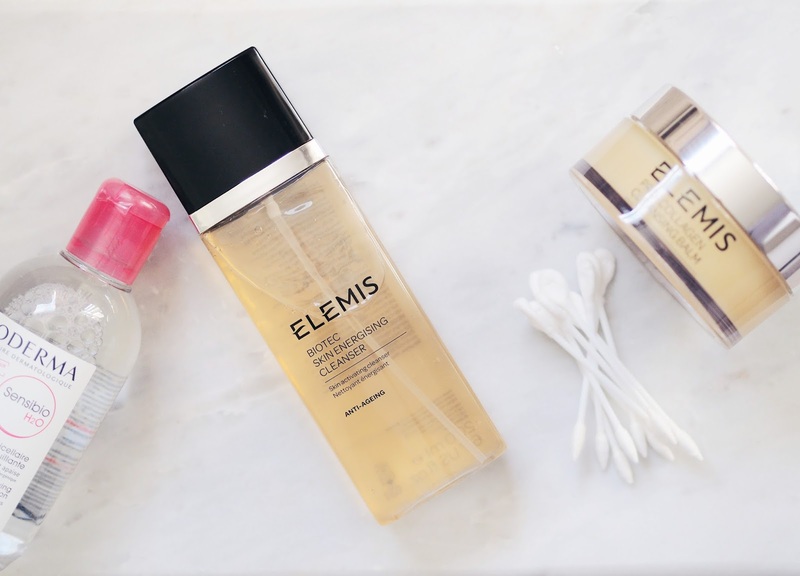 I knew I wanted to try something different, maybe a brand I've never used before so after a lot of research and weeks of deliberating (yes I took it that seriously) I decided on 2 cleansers from Elemis, one for the evenings and one for the mornings. In the evenings, I love using oils/balms to really nourish and cleanse my skin after a long day, something that is going to slough away all of the make up and grime of the day. 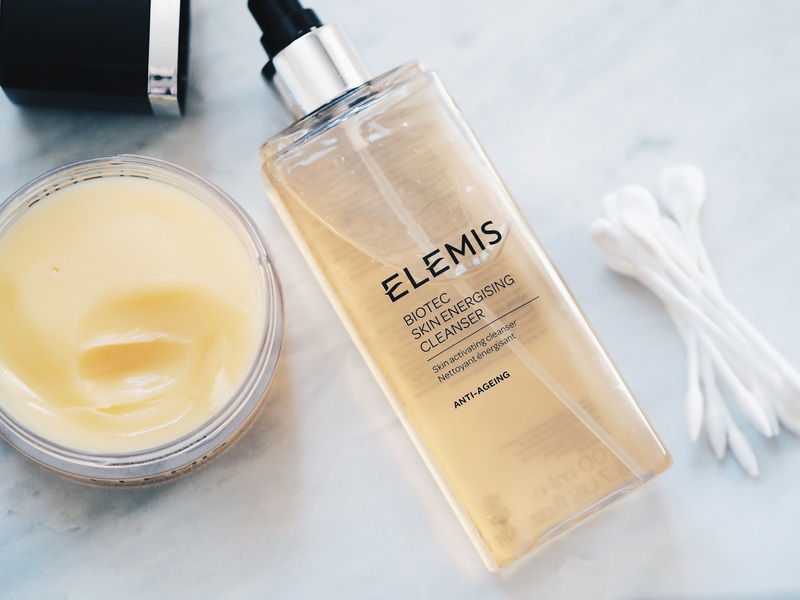 I've been using ELEMIS Pro-Collagen Cleansing Balm, which is a beautiful, thick balms that breaks down into a luxurious oil whilst massaging it into your skin. It boasts full of natural oils, all made in the UK. First of all, this cleanser smells incredible, exactly like a spa which is seriously relaxing for evening use. I've noticed a huge difference in my skin since using this. My skin feels so soft, skin texture has been significantly been reduced, it's looking seriously plumped & it removes every scrap of make up. Side note: the cleansing cloth that comes with it is the bomb. For the mornings, I wanted something light & refreshing to really wake & brighten my skin. I heard great things about ELEMIS Anti-Ageing Bitotec Skin Energising Cleanser so decided to give it a shot. This is just a darn good 'gel' type wash, which cleanses the skin properly without leaving your skin feeling dry & tight. I use about 4-5 pumps of the cleanser (it dispenses a very small amount) and rub into a lather and splash with water. It just does a really good job of waking up & refreshing the skin, making it the perfect base for the rest of your skincare & make up that follows. Since my initial experience with ELEMIS I'd love to know your reccomendations too - so please throw them my way! I adore the Pro-Collagen Balm, I will always repurchase!